No kind of manicure can do without removing the cuticle. You can carry out the procedure in three ways: edged, unedged and hardware. Each of them has its minuses and pluses. The safest way to remove the cuticle is considered an unedged method. First, dangerous and sharp objects are not used, which reduces the risk of injury to zero. Secondly, the procedure can be done without much preparation and effort. The unedged method involves the use of special gels that soften the cuticle, which allows easy removal from the epithelium. All that is required is to apply the gel on the skin around the nails, according to the instructions, leave for a few minutes, and then remove it together with cuticle wadded disc. Чтобы процедура прошла быстрее, предварительно кутикулу можно отодвинуть апельсиновыми палочками. Недостаток метода: быстрое отрастание. Частота необрезного маникюра: 1 раз в неделю. The hardware method is suitable for those who have at hand a special machine for manicure. It does not have to be professional. A fairly simple model for home use. To properly remove the cuticle machine, you need to select a special trapezoidal attachment, and then gently cut the skin. 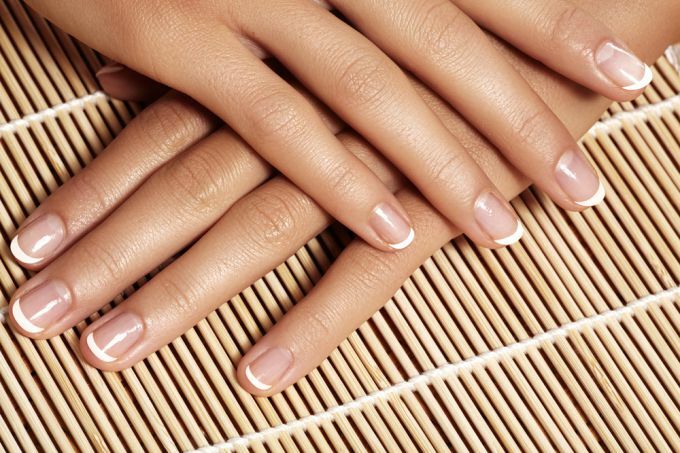 You do not need to unpack the skin beforehand, just as you move the cuticle with a gun or chopsticks for manicure. Недостаток метода: при сильном давлении есть риск перепилить ногти возле кутикулы, что приводит к их ослаблении и плохому росту в дальнейшем. Аппарат нужно держать под небольшим углом по отношению к ногтям. Cutting method of cuticle removal is considered the most traumatic, especially if there is no experience in the management of sharp manicure instruments. Before removing the cuticle with nippers or a special blade, it must be carefully evaporated in warm water. After that, the softened skin is pushed off with orange sticks or a pusher (manicure scoop), then cut with a blade or removed with the help of nippers. It is very important to grab a small amount of soft skin, so as not to injure it when removed. The procedure is performed on each finger in turn, while the rest remain in the bath. Dry skin with nippers can not be removed! This can lead to injuries, and to infection in the matrix, which protects the cuticle. Matrix is ? ?the "root of the nail". That is, the place where the nail plate begins to grow. Infection of the matrix leads to serious complications, up to the complete "sliding" of the nail to the meat. Before removing the cuticle, whatever the method, the nails need to be prepared. First, the old coating is removed (lacquer, gel-lacquer, gel and others). Secondly, hands must be washed and disinfected. If the removal of the cuticle occurs with a preliminary stripping, then in the water can additionally add sea salt or iodine, which will play the role of antiseptic. After removing the cuticle, a nourishing cream is applied to the skin, which is rubbed in soft circular motions. If an injured person was injured during a trimmed manicure, the damaged area should be treated with hydrogen peroxide and any disinfectant, and then lubricated with a healing cream.